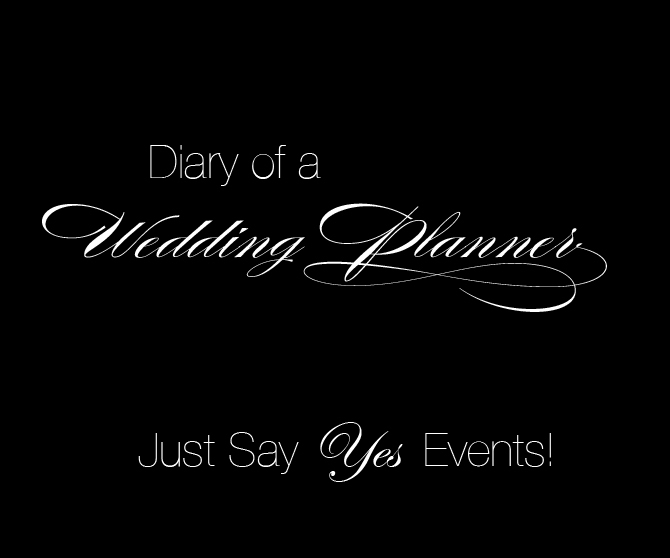 Just Say Yes Events: Bottles.... Bottles & More Bottles. I love all sorts of vessels for floral arrangements. My wonderful clients Chris & Lindsay inspired me with bottles and the madness began. They have all kinds of vintage bottles and wanted to someway utilize them for their Spring 2010 wedding in Chicago. As with any wedding I try and come up with unique ways to make each clients wedding different. I began my research trying to find a few images to show Chris & Lindsay using bottles to see which direction they would like best. Google did not fail me...as it never does! Here is what I found and honestly I was amazed and inspired and cannot wait to see how their tables-capes turn out. We can not over look how inexpensive this is by the way. My clients are collecting bottles, their families and myself which is free since its from wine, juice, water that we drink everyday.....well maybe not the wine everyday!!! It is also very inexpensive from a floral standpoint using a few stems is super affordable versus using 150 roses in one centerpiece. 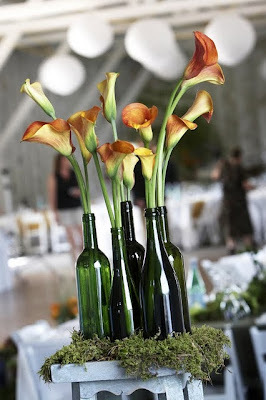 Green wine bottles filled with orange Calla Lilies....This is very eye catching and dramatic for just a few dollars. Can you say GORGEOUS!! Very cute vintage bottles all in green and blue hues. These are available at antique markets, ebay, flea markets. They are so simple and soft looking almost like watercolors. 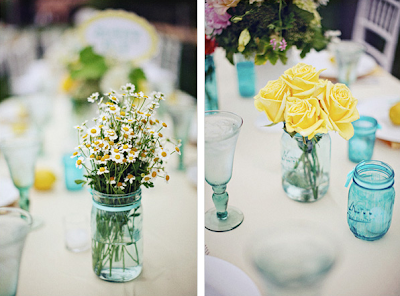 Mason Jars.....In teal non the less! Who knew they came in different colors, well they sure do. 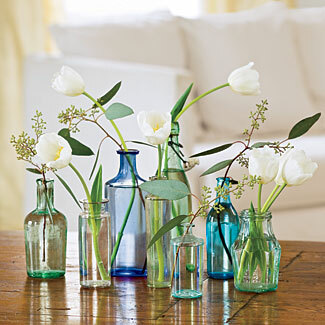 In this image they are mixed with different bottles and vessels which creates interest. When creating a table-scape you want your guests to continue seeing new thing throughout the night.